Article: Veronica Dunne And Max Ehrich Looked Outstanding At The “Alice Through The Looking Glass” Premiere! 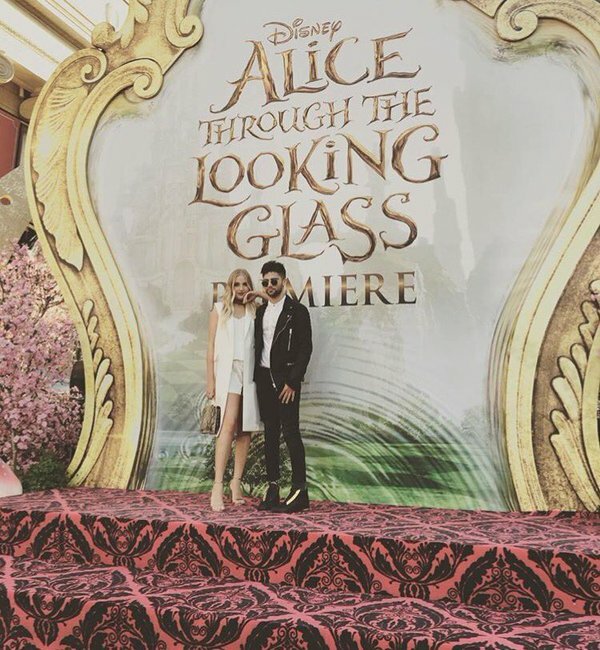 If there is one movie everyone is looking forward to seeing, it is definitely “Alice Through The Looking Glass!” Many of your favorite celebrities had a marvelous time as they attended the premiere today, including the remarkable power couple, Veronica Dunne and Max Ehrich. The spectacular Veronica Dunne and the incredible Max Ehrich looked outstanding as they attended the “Alice Through The Looking Glass” premiere today, May 23, 2016 at the El Capitan Theatre in Hollywood, California. Veronica Dunne looked so stunning, as always, wearing an all white outfit at the event. Max Ehrich looked excellent rocking a leather jacket and TopMan attire at the event. Radio Disney had a blast chatting with the lovely Veronica Dunne on the red carpet of the event and shared the terrific photo as seen below through their Twitter account. Check out more photos below of the sensational Veronica Dunne and Max Ehrich looking terrific at the “Alice Through The Looking Glass” premiere! Previous Article: Voting Opens Now! Check Out The Nominees Of This Year’s Nickelodeon Kids’ Choice Sports With Russell Wilson Returning As Host! Next Article: Zendaya Looked So Statuesque At The 2016 Billboard Music Awards!